Lush Fab Glam Inspired Lifestyle For The Modern Woman: ﻿Magazine Fab: Actress Emmy Rossum covers Zooey January 2012! ﻿Magazine Fab: Actress Emmy Rossum covers Zooey January 2012! Actress Emmy Rossum covers the January 2012 issue of Zooey magazine, as one of our favorite up and coming Hollywood actresses, she is no doubt one to watch for in both her acting career (with roles in films like 'Mystic River', 'The Day After Tomorrow' and TV show 'Shameless') and her rather sophisticated, Old-Hollywood style. 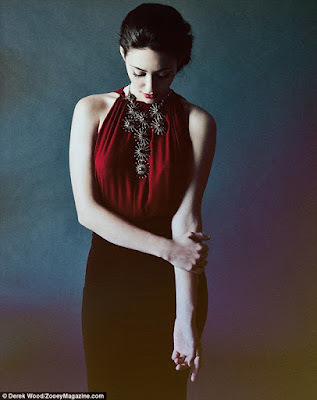 Are you a fan of Emmy Rossum and what do you think about her Zoeey magazine photos? Leave a comment below.